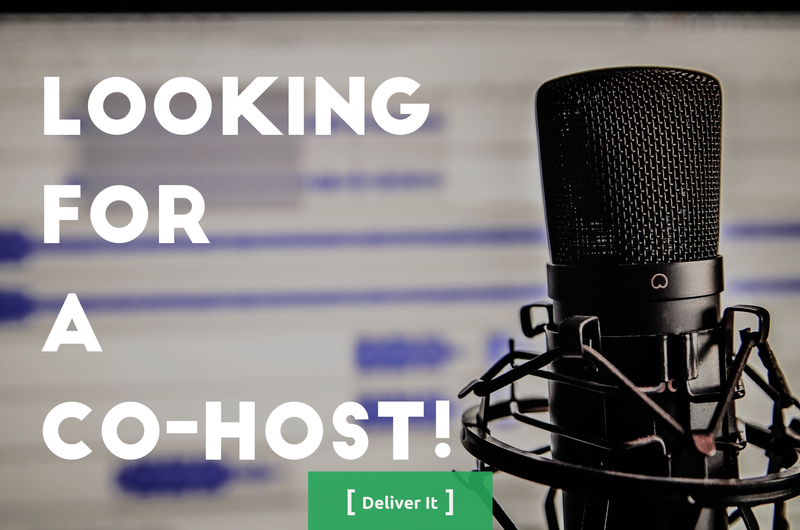 Deliver It Cast, an Agile Products Owners Podcast, is looking for a new co-host to join the show. We are looking for someone who is currently active as a Product Owner and is willing and able to openly discuss the role, challenges, and ideas with our audience. You must also be enthusiastic about the role, agile in general, and love the products you help create. If you are interested, please record a 1 - 3 minute introduction of yourself ( name and time in the role ), talk about why you love the PO role, and 3-5 ideas for topics you're interested in talking about on the show. Submissions can be sent or linked to us at deliveritcast@gmail.com. Our current schedule records every other week for 30-45 minutes. Even though we are based in Raleigh NC, where you are doesn’t matter so much as long as you have a working microphone and a reliable internet connection. We can find out the best solution for the right person. It's Rob, we've corresponded via email a few times. Hope all is well. Perhaps I'll put a quick video together and we can talk about how I can contribute.